Looking for a new beer bar to check out? Look no further than this new arrival. Called Izakaya Juraku, the newcomer is located at 121 Ludlow St. (between Rivington and Delancey streets) in the Lower East Side. The drinks menu includes bottled craft beers imported from Japan, hot sake, imported cold sake, Japanese premium wine and more. Izakaya Juraku has gotten an enthusiastic response thus far, with a five-star rating out of three reviews on Yelp. David Q., who was among the first Yelpers to review the new spot on May 7, said, "Everything about this place was wonderful. The waiter and waitress were extremely attentive and let us sample multiple sakes to see what we were really into. They have a huge selection of imported Japanese beers as well, and my goal is to try all of them." 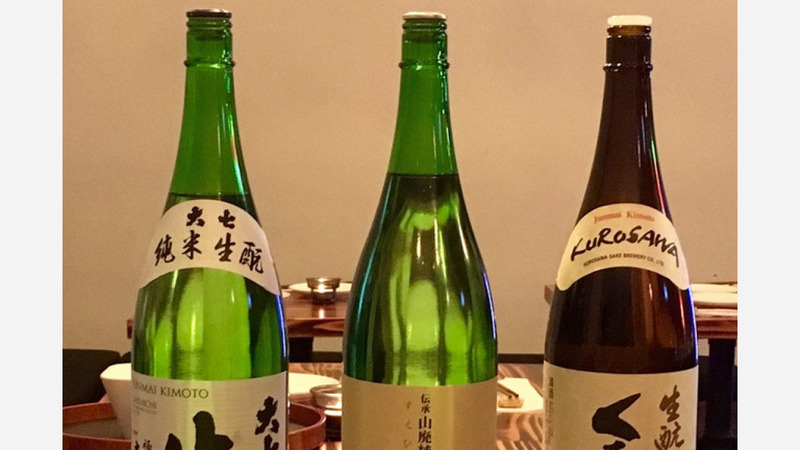 Yelper Angel M. added, "They got a great selection of crafted beers and sake. Their nitro-infused matcha on tap is sweet and mellow and refreshing. Manager and staff are super nice and attentive."